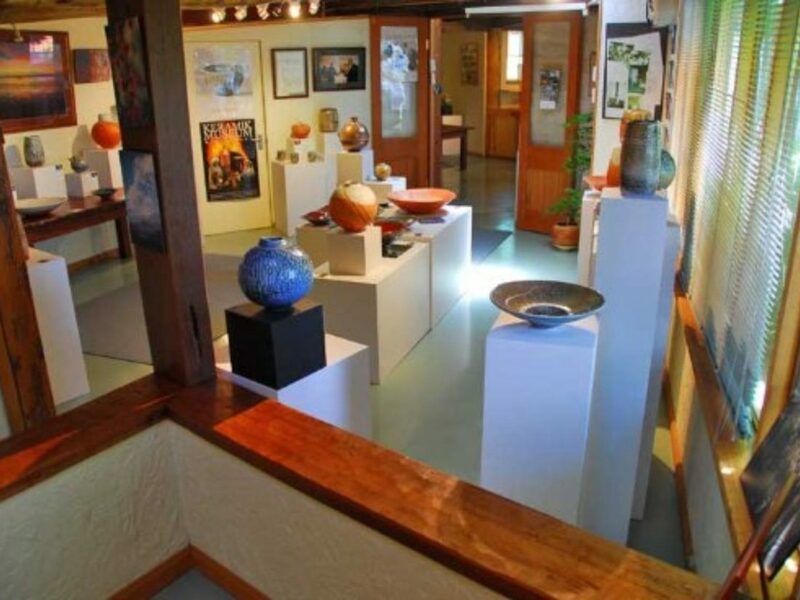 John Dermer has been at the potters wheel for more than 50 years now, and his works can be found in many of the worlds galleries and museums, private collections and even Parliament House Canberra. His kilns are fired to temperatures hotter than the interior of a volcano, and the difficult technique of salt-glazing results in spectacular colours and patterns. Visit the gallery and experience some of the history of his work in a retrospective display as well as his current projects. In the gallery store you can also purchase some of pieces along with tablewear made by the potter.